With record breaking registrations and early sell-out, ADX18 presented a thriving and innovative dental community, cementing its reputation as Australia’s premier dental event. With more than 10,000 professionals from around the world coming together, ADX18 Sydney proved to be much more than a trade show. The three action packed days were enjoyed connecting with new contacts, strengthening existing relationships and demonstrating our exclusive product range. Thanks to the many many oral health professionals that stopped by to speak with our team and check out the industry leading ‘Unicline S’ dental chair as well as learn about OPTIMA’s unique four dimensional offering. We look forward to building on many new partnerships with clients and suppliers alike over the coming days. If you missed out on: Calaject, Heka, Ancar, Steelco and Melag product demonstrations, complimentary consultations and exclusive discounts, there’s still time – we’ve extended our show specials. 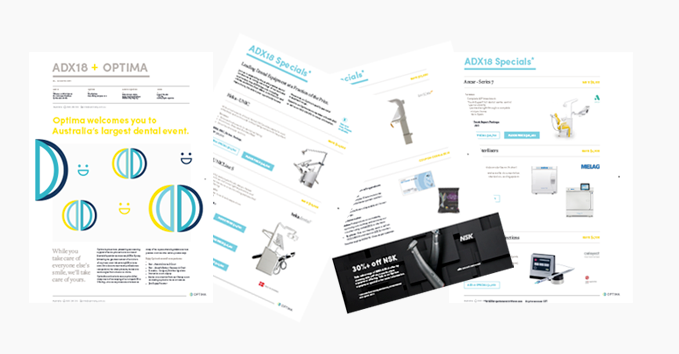 Book an appointment with an Optima specialist today or download our ADX18 brochure for more information. Please note: specials are subject to availability.